NCAS would like to congratulate former long time county archer James Mason for what’s been a fantastic year. 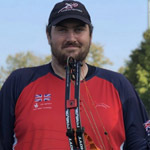 In August James was part of the three man Great Britain Men’s Compound Team, along with Neil Bridgewater, and Adam Ravenscroft, who won the gold medal at the European Archery Championships in Legnica, Poland. They came through a dramatic final against France to win by a single point. James shot extremely well throughout the finals, as many watched it all unfold live on the BBC Sport website. The finals are available to watch on Youtube. On top of that, in September James also won his first Archery GB National Tour Grand Final at Lilleshall. Beating two-time winner Chris White in the Semi’s to face another two-time winner, GB team mate and fellow European gold medalist, Neil Bridgewater in the final. James took the title with a 147-144 win. Three of the counties compound archers have been selected for funded compound squads for 2016/2017. 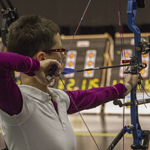 James Mason of Kettering Archers has been selected for the Great Britain Elite compound squad which is a selection of the best senior, cadet and junior archers. Susan Corless of Northampton AC has been selected for the senior Great Britain squad. 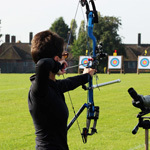 And Lulia Petre of Corby Archers has been selected for development squad which is made up of cadets and juniors. 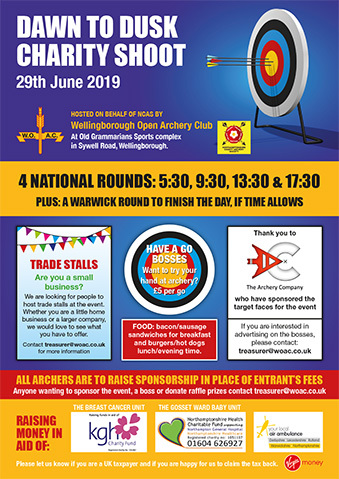 In addition, Ruby Paul of Archers of Raunds has been selected to join the ArcheryGB Academy programme. Many congratulations to all four archers. The county is extremely proud of their achievements. 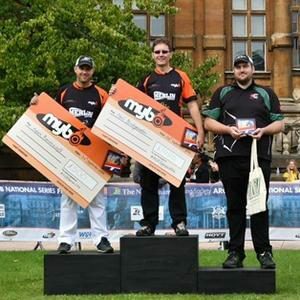 Susan Corless and James Mason both of Northampton AC took part in the ArcheryGB National Series Final at Wollaton Hall in Nottingham on Saturday 24th September. 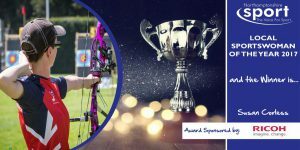 To qualify archers had to compete in six hard-fought stages up and down the country, with the top 8 archers from each discipline making it through to the final. Both Susan and James made it through to the bronze medal matches on the day. Susan ended up finishing in 4th placeand James in 3rd. Congratulations to them both! 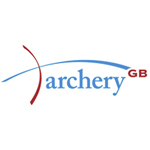 The ArcheryGB Website rundown and results can be found here. Lizzie & Susan Picked For England! Congratulations to Lizzie Cantopher and Susan Corless of NAC. Both archers have been picked to represent England at this years National Indoor Championships in Coventry on 7th December. This is the second year running that Lizzie has been selected for the ladies recurve team. Having shot for England at last years event, she helped England to victory over the other home nations. For Susan to be selected for the ladies compound team is a fantastic achievement. Having only switched from shooting recurve to compound less than a year ago, when she thought she might have to give up shooting completely. James Mason has been named as a reserve for the gents compound team. The full England team can be viewed here.